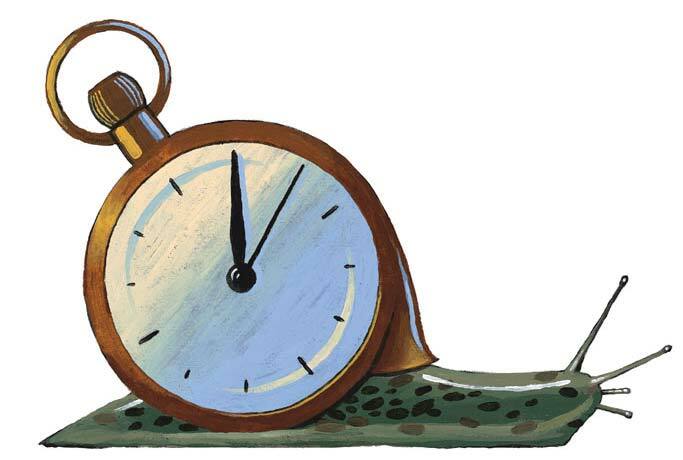 Caution is the watchword in a sluggish market for corporate takeovers. 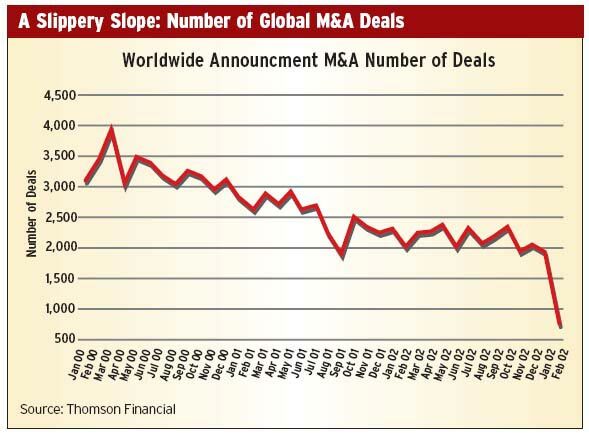 Throughout last year, observers of international M&A; predicted a bounce-back in deal volumes. 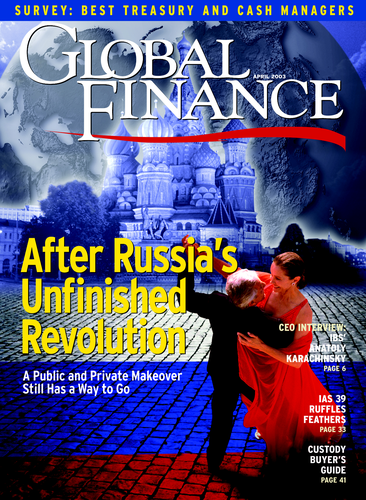 It didn’t happen.According to data providers Thomson Financial, global announced deal value fell 28% in 2002. The number of deals dropped 16%, with $1.2 trillion worth announced from around 25,000 transactions. The fall was worst in the United States,where volumes fell 41% on the previous year. In February BP’s $6.75 billion purchase of a 50% stake in a Russian oil company briefly reignited memories of the glory days of corporate wheeler-dealing, but outside a few key sectors such as oil, activity is set to remain firmly in the mid-market and with companies that have hard cash to spend, not shares. “These days, cash is king,” says Richard Morgner, managing director and head of M&A; at Chanin Capital Partners, a New York investment banking firm. That’s a far cry from the late 1990s when “the market was dominated by stock-for-stock deals,” says Morgner. “People had an inflated currency and could go buy up the world.” More than 75% of the deals done in the US are cash. That switch fits sellers just fine: Depressed stock prices and the fact that conglomerates are pressed to focus on their core operations mean they want money up-front. But the idea that, per se, expansion and acquisition are good has been sorely tested. Four years ago telecom company AT&T; went on a $10 billion shopping spree for cable.AT&T; subsequently sold these holdings to Comcast, a Philadelphia company that has interests in cable, broadband networks and content. The resale was completed last November, with Comcast paying less than half of AT&T;’s initial outlay. “‘Tech’ will remain a dirty word for 2003, and I do not anticipate recovery in the sector for the foreseeable future,” says Mark Herlach, a partner at law firm Sutherland Asbill & Brennan in New York.“Many companies bought dogs in the go-go years that they would now like to unload, but there is little enthusiasm for purchasing most of those enterprises today, even at substantial discounts.” Putting aside bottom fishers who purchase “only after rigorous due diligence and pencil sharpening,” Herlach sees more interest in sectors that benefit from low interest rates and that buffer economic uncertainty, such as building products, home improvement and real estate. “There are certain subsectors within technology where we expect a reasonable amount of activity, including infrastructure software and Wi-Fi,” says Brooks Dexter, senior managing director at Los Anglesbased M&A; adviser USBX Advisory Services. Dexter also thinks health care is an area to watch. Mark Thompson, a London-based partner in law firm King and Spalding’s M&A; practice group, says that boards of directors will increasingly be more directly involved in transactions and forcing management to justify acquisitions. “This may initially slow down the acquisition process but may give companies and their shareholders greater confidence in the completed acquisition,” says Thompson.